We're making way for fall and putting some of our select summer web styles on sale! Get these markdowns while you can before they are gone for good. Our Chambray Shift Dress, this mod take on the beloved chambray look will keep you cool and collected all summer long. Features upper left pocket, fringed detail, and a two-toned bottom hem with buttons. Now $28 from $40. The Arnett Romper, a black & pink one shoulder romper that's perfect for both brunch or cocktail party. Now $80.50 from $115. Teal Tie Dye Romper, on sale for $30.80 from $44. Features a draw string tie waist and loose billowy fit. Pair it with the yellow suede Mini Bucket Bag, also on sale for $38.50 from $55. One of our best sellers, the Golden Summer Romper is marked down $36.40 from $52. Featuring a orange and blue floral design, this romper has a double tie front for a little extra detail. The Leanne Ruffle Dress, features large floral printed fit n' flare dress with ruffle hem detail and cut out back with tie. Now $46.90 from $67. 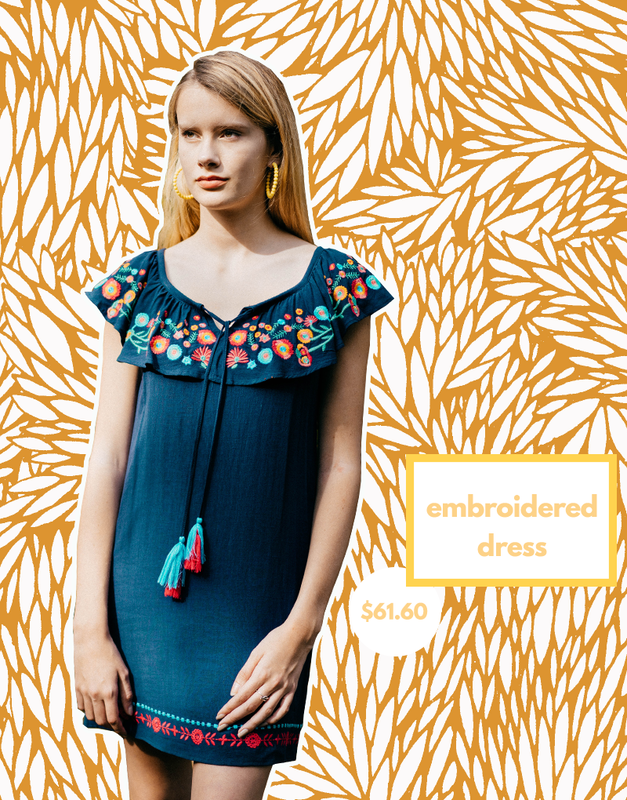 Finally, our Embroidered Blue Dress from THML is what every woman needs in the Texas heat. This perfect summer dress can be worn on or off the shoulder. Adorned with a floral embroidered front and red tassels ties. On sale now for $61.60, originally $80.